Every once in a while, and particularly when we’re on vacation and Vinegartart is away from her kitchen, it’s tough to get a recipe out of her. We’re in Vancouver this weekend, a city full of food options that should inspire her to carry on next week. 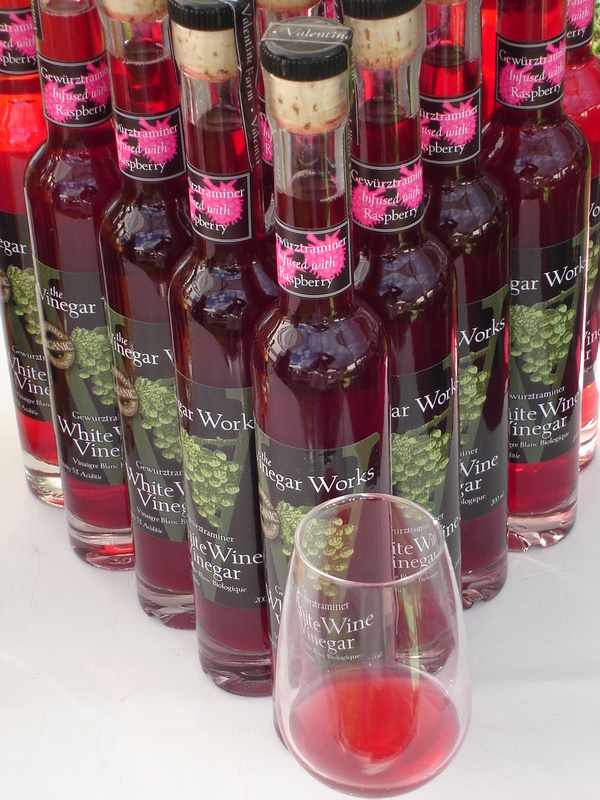 Step 1 – Wine making relies on a reaction between the sugar present in grape juice and yeast that has been added to the juice. The result of this reaction is alcohol. Note that although yeast is commonly added to the juice, wild yeasts are present in the air that could initiate this reaction even without the winemaker adding his preferred yeast. 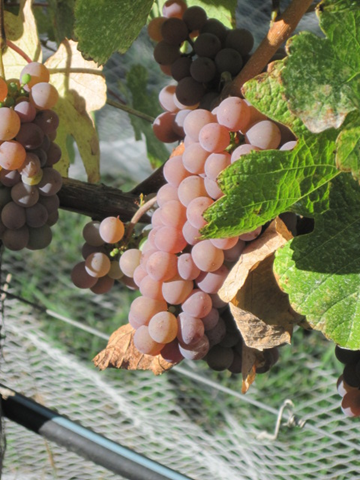 Ready for harvest, and winemaking! Step 2 – Vinegar making relies on a reaction that occurs between alcohol and an air-borne bacteria called Acetobacter. By air-borne I mean the air you and I breathe everyday, everywhere. Acetobacter’s role in life is to find alcohol and react with it to produce water and acetic acid – Vinegar. It’s that easy. And it occurs in nature everyday, whenever a fermentation takes place that produces any amount of alcohol within the right temperature range. Your compost bucket is a good example of wild wine (sugars in fruit waste and wild yeasts), and following vinegar reactions underway right there on your kitchen counter, as evidenced by the inevitable presence of fruit flies! Ready to enhance your flavours! So that’s where vinegar comes from, how does it work on food? Vinegar is a flavour enhancer. It accomplishes this when the acidity from that small amount you have drizzled on the food or used in a recipe meets your taste buds. Taste buds “wake up” when this happens and “voila”, you can actually more easily savour the mild flavours and enjoy the bolder ones. 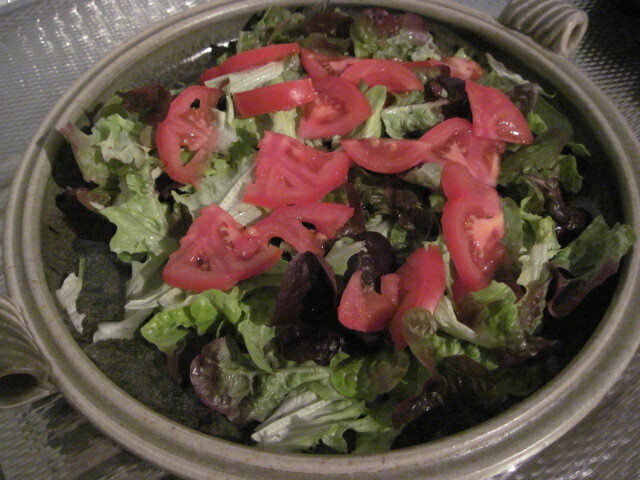 To better explain, consider the taste of a bowl of chopped lettuce, tomatoes, carrots….an undressed salad. On its own, bland. Drizzle on a bit of vinegar, combined with some oil to make it stick and it becomes a taste sensation. As well, it leaves your taste buds hopped up and ready to enjoy the flavours of the following main course. Vinegar! Get it or, get it out of the cupboard and use it! Next week – the Vinegartart is back in the kitchen. Thanks for following! ….that looks like my bowl and my salad???? Just checking to see if you really pay attention…or if you were just kidding the ol’ kidder. Stay watching…you never know when you might play a leading role! VT – where can you get those special bottetana onions, or however it is spelled? John. Thanks for following. Borettana is a cipollini onion and you can buy the seeds from the vernable http://www.westcoastseeds.com They also have a very nice red cipollini onion called Red Marble.